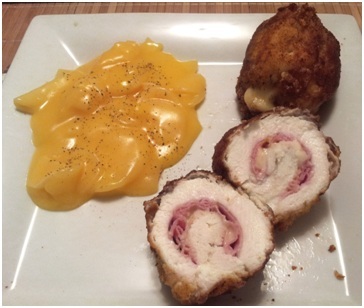 Happy National Cordon Bleu Day everyone! In honor of this very special occasion, we’ve decided to do something a little different for our loyal readers and followers. 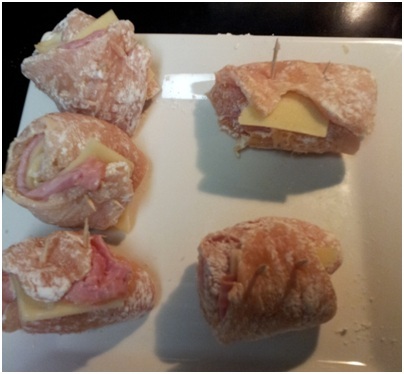 We’ve decided to bring you a step by step recipe for easy and delicious Chicken Cordon Bleu, using ingredients that won’t cost you an arm and a leg! So, put on your chef coats and join us as we cook up a tasty recipe! We hope you enjoy reading this as much as we enjoyed eating it! 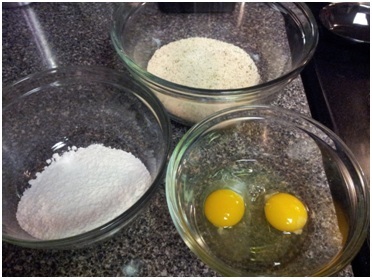 Step 1: Gather your ingredients. 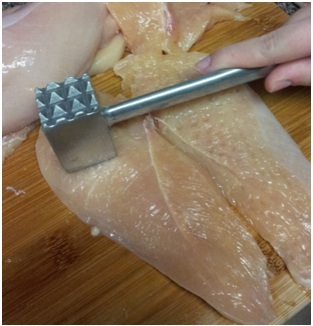 Step 2: Cut or butterfly the chicken breasts into thin cutlets, the thinner they are, the easier it will be to roll them later. 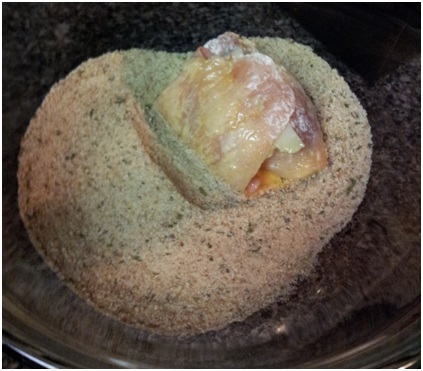 Step 5: Coat each piece of chicken in flour and set them aside. 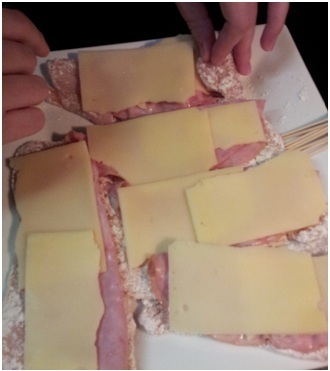 Step 6: Lay a slice of ham and a slice of cheese on each piece of chicken. 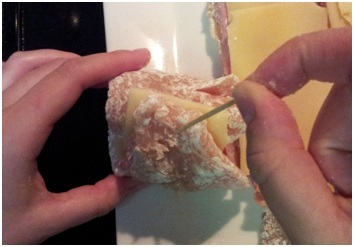 If you want to go a little higher quality, you can use prosciutto instead of the ham. Step 7: Roll these tightly, and secure with 2-3 toothpicks. 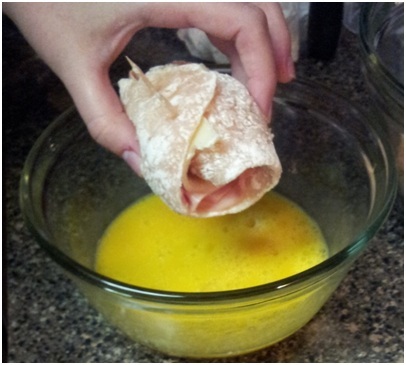 Step 8: Dip the rolled chicken, ham and cheese into the egg, coat evenly. 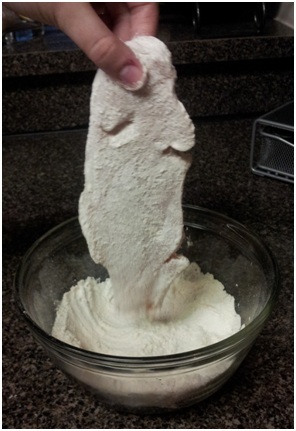 Step 9: Dip the rolls in the bread crumbs, and make sure to coat it evenly, and shake off the excess. 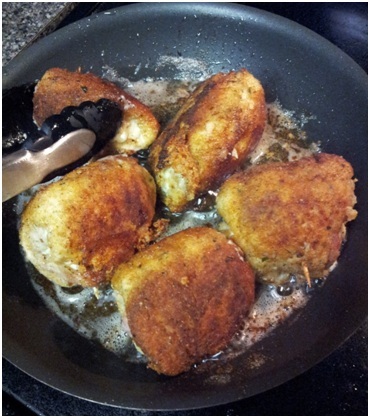 Step 10: Pour oil to cover the bottom of a large pan, and put the stove on medium-high heat. 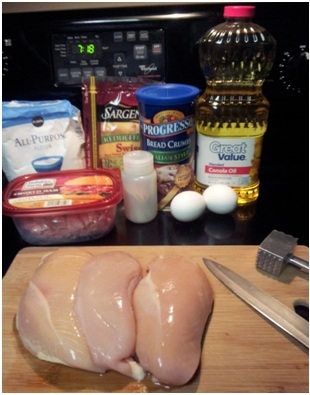 Once it is hot enough, put the chicken into the oil, and cook them until golden brown. 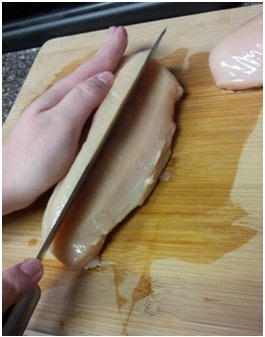 Be sure to cut into it and make sure the inside is all white, and the juices run clear. Step 11: Enjoy with a favorite side dish! 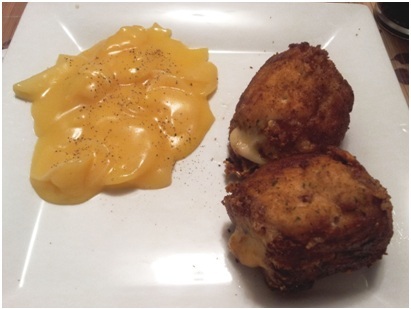 We chose Au Gratin Potatoes, because we love our cheese! Do you have another way of making this recipe, or a way to make it healthier? Share with us below, so we can all try it out!